"Please pass on my wholehearted thanks to all of you at Suffolk Secrets for exemplary customer care. In twenty years of house ownership and holiday letting, I never had better service than from your company". We understand that choosing who to let your holiday property with is a big decision, and let's be honest, there are lots of letting agents out there to choose from. Here at Suffolk Secrets we think it's important to give you as much useful information and guidance as possible to help you make this decision. We hope that the information within these pages will be of use to you, but there's no better way to find out more about us than to speak to us. Please feel free to get in touch. Our advice is free and without obligation. To speak to a member of the team please call us on 01502 722717 or request a homeowner pack. Holiday letting with Suffolk’s leading agency (that's us!) is a fantastic option if you are looking at earning income from your second home or adding to your investment portfolio. With over 20 years of experience, our knowledge of the local area and the holiday homes we market is unrivalled. 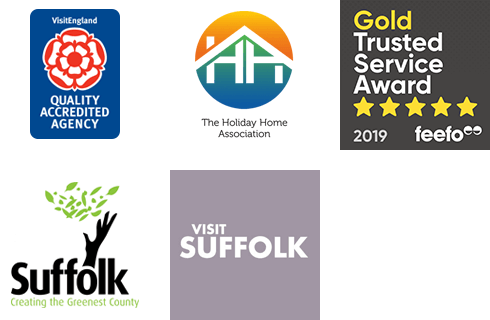 The great thing about owning a holiday home is that you can use it as your personal holiday destination; at Suffolk Secrets we do not charge for or limit owner bookings and you have the freedom to book your property online in your personal homeowner area. If you do not live locally, Suffolk Cottage Care, our dedicated management service, can look after all housekeeping, maintenance and on-going care of properties in our managed areas. This service employs two full time on-site operatives to react instantly to any issues that may arise, 365 days a year. Suffolk Secrets is a family owned, local business, established in 1995. Since its launch Suffolk Secrets has grown steadily in size and reputation to become the county’s leading independent holiday letting agency. We offer holidaymakers the best selection of individual, well-equipped, quality properties in the county, and we achieve this by building a mutually beneficial and loyal relationship with each and every one of our homeowners, many of whom have let with us for a very long time. Our two well-positioned offices in Southwold Market Place and Aldeburgh High Street house a well-established and knowledgeable team of over 30 staff, all with a genuine enthusiasm for providing a first class service. Making sure people can find and book your property is what our marketing is all about. Read about how we do it. We can offer a bespoke housekeeping and maintenance service via our Suffolk Cottage Care team. Grab a coffee and take five minutes to read our latest holiday home owner blog. To receive a full information pack in the post, please complete this simple online form.